An attorney who on Monday secured a $31.5 million verdict over a body shop’s improper repair now plans to re-sue State Farm for its alleged influence in the work and crash-test aftermarket parts. State Farm reimbursed the $8,500 2012 hail damage repair in which John Eagle Collision Center panel-bonded a replacement roof to a 2010 Honda Fit rather than using the welds dictated by Honda OEM repair procedures, according to records and the deposition of John Eagle Collision Center director Boyce Willis. An expert for the plaintiffs said the use of adhesive — thought to be 3M’s 8115 — compromised the roof’s ability to manage collision energy for the unibody vehicle, leading to a more severe collision experience for its subsequent owners, Tracy’s clients Matthew and Marcia Seebachan. The couple suffered serious injuries and were trapped inside the burning Fit in 2013 after T-boning a hydroplaning 2010 Toyota Tacoma which traveled into their lane. A joint press release from John Eagle Collision and the Tracy Law Firm is expected today. The Seebachans sued State Farm in early August for allegedly encouraging the shop to use the panel adhesive, but they dropped the case later that month to ensure their Sept. 25 court date against John Eagle Collision wouldn’t be delayed, according to the Tracy Law Firm. However, shop and insurer estimates shared by Tracy’s firm do not appear to indicate a direction or suggestion by State Farm to use adhesive. 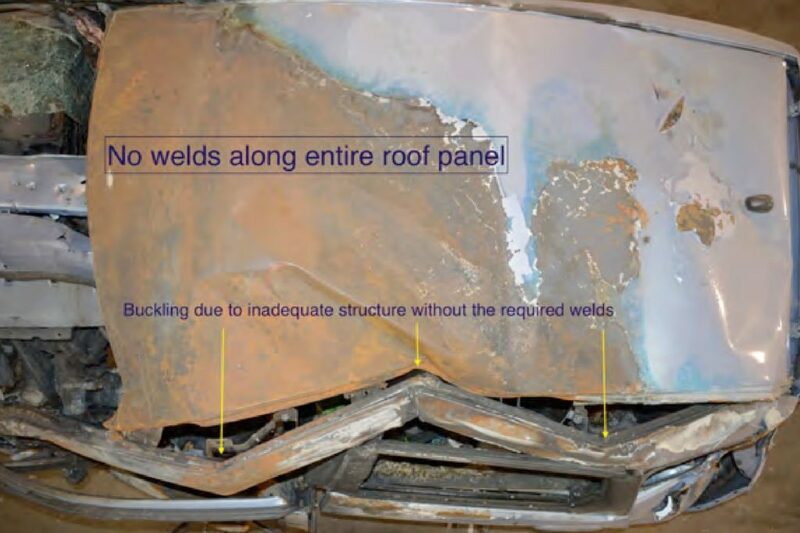 In a deposition, body shop director Boyce Willis describes its roof adhesive repair technique as a standard operating procedure and declares the panel bonding to be better than the plug and spot welds Honda demands. Learn what failing to follow OEM repair procedures could mean for your shop in court Nov. 2 at the OEM Collision Repair Technology Summit during the SEMA Show in Las Vegas. 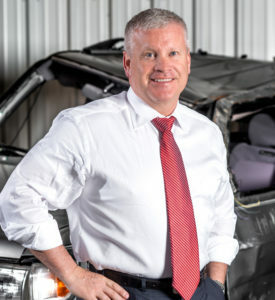 Experts including attorney Todd Tracy will present “The Hidden Dangers of Vehicle Technology, Improper Repair Methodology and Your Liabilities.” Space will be limited; early registration is encouraged. 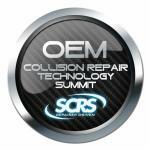 The session is part of the Society of Collision Repair Specialists Repairer Driven Education Series Oct. 30-Nov. 3. Register here for individual courses or here for the series pass package deal. State Farm in the past has said it has nothing to share when asked about Tracy’s insinuation or what at the time was merely a litigation threat. “At some point in time, you gotta stand up for your customer,” he said. Tracy said he showed the jury an I-CAR document advising shops to remember that their customer is the vehicle owner, who trusts them to perform a correct repair. He said he also made insurer influence a “huge issue” with his first witness, Willis. Willis’ response was “‘We always just want to get paid,'” Tracy said. Tracy reiterated that he will refile the lawsuit against State Farm, who ironically is the insurer for a driver who recently hit his vehicle. In what might not be the wisest of adjuster decisions given Tracy’s profession and recent track record, the insurer is being difficult about that third-party claim, according to Tracy. He didn’t see copycat cases as much of a factor, declaring many attorneys to be too lazy or incompetent to handle such a litigation. “I assume they’ll just bring it to us,” he said of other attorneys seeking to sue shops. 3M has been proposed as another litigation target based what Willis said were comments from a representative calling the panel bond acceptable for a 2010 Fit. Q. Where does 3M tell us that it’s okay not to follow Exhibit 206 when you’re putting a new roof on a 2009 to 2013 Honda Fit? A. It’s done by their representatives that come out and teach the process to replace it. However, Tracy effectively demolished this 3M-told-me-I-could-do-it position in the deposition by showing Boyce the 3M Standard Operating Procedures for Collision Repairs, which refers shops to OEM procedures, and another 3M document which specifically notes that Honda doesn’t want adhesives used. Tracy said because of this documentation, it’d be difficult to sue 3M. However, this could change based on the results of some crash testing Tracy plans to conduct at a National Highway Traffic Safety Administration-caliber facility with Hybrid III dummies. “That’s going to be a scientific test,” he said. He said he planned to crash a vehicle with unspecified bonding to compare it to a factory vehicle. Another crash test might vet the performance of aftermarket glass when substituted for an OEM windshield, he suggested — windshields are structural parts, after all. Crash tests will include the 40 mph small-overlap crash test the Insurance Institute for Highway Safety instituted in 2012, according to Tracy.